Dr. Murphy obtained his medical degree at the University of Rochester School of Medicine and Dentistry. He completed his residency in orthopedic surgery at the New York University Medical Center/Bellevue Hospital and a fellowship in hand surgery at the Mayo Clinic/Mayo Foundation. 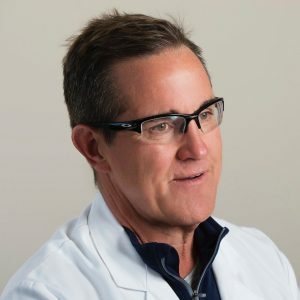 Dr. Murphy is an assistant professor in the Department of Orthopedics at Johns Hopkins University Medical School. In addition, he is the associate hand fellowship program director at Union Memorial Hospital. He is an attending surgeon and consultant in outpatient clinics and surgical cases with the residents and fellows. He is actively involved in direct surgical education, didactic lectures and research. Dr. Murphy sub-specializes in arthroplasty, traumatic conditions and vascular disorders. Dr. Murphy serves as assistant program director of the Curtis Hand Surgery Fellowship. He directs the weekly “classic articles” journal club, as well as the monthly city-wide journal club. He is the director of our international medicine program and leads biannual hand surgery missions to the Dominican Republic with the fellows and residents. He is active in the American Society for Surgery of the Hand (ASSH) and serves on many administrative committees with a focus on hand surgery education.